Mark Nickell, 24, of Greenville, was ordered to seek treatment in lieu of conviction on charges of aggravated possession of methamphetamine, a fifth-degree felony. Katelyn Hoefler, 24, of Lewisburg, was ordered to seek substance abuse treatment in lieu of conviction on a charge of attempted grand theft, a fourth-degree felony. Magan Plessinger, 31, of Greenville, was ordered to attend the MonDay program for inpatient substance abuse treatment after violating her probation on charges of trafficking and child endangerment. 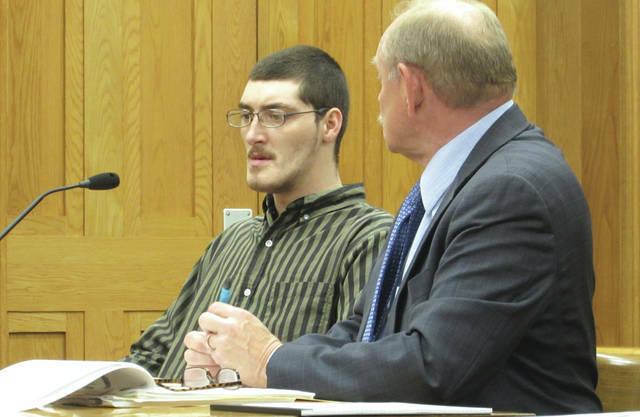 GREENVILLE — Darke County Common Pleas Court heard cases involving attempted grand theft and probation violation Monday,Nov. 26. Judge Jonathan P. Hein presided. Katelyn Hoefler, 24, of Lewisburg, was ordered to seek substance abuse treatment in lieu of conviction on one count of grand theft and two counts of theft. Hoefler pleaded guilty to an amended charge of attempted grand theft, a fourth-degree felony; the additional two charges were dismissed in accordance with a plea agreement between Hoefler and the Darke County Prosecutor’s Office. 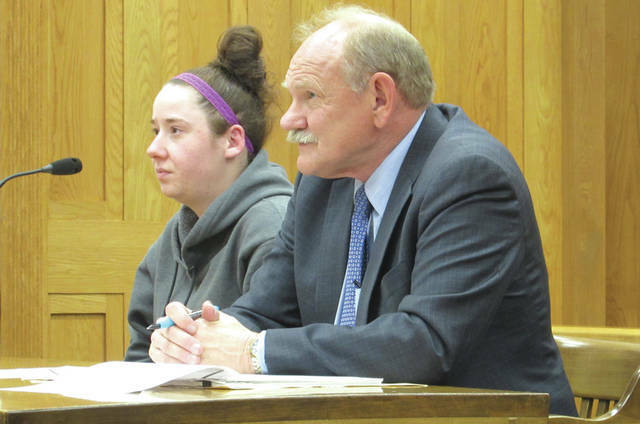 Hoefler’s guilty plea will be held by the court until such time as she successfully completes treatment; if she fails to do so, she could be convicted on the amended charge without benefit of a trial or the ability to appeal the verdict. Hoefler also must pay court costs and complete 100 hours of community service. Mark Nickell, 24, of Greenville, was ordered to seek treatment in lieu of conviction on charges of aggravated possession of methamphetamine, a fifth-degree felony. Judge Hein also ordered Nickell to pursue part-time employment. Magan Plessinger, 31, of Greenville, was ordered to attend the MonDay program for inpatient substance abuse treatment. Plessinger was on probation following convictions for aggravated trafficking in methamphetamine and child endangerment in 2017; her probation officer alleged that Plessinger had missed several appointments at Darke County Recovery and Wellness and had tested positive for illicit substances on multiple occasions. 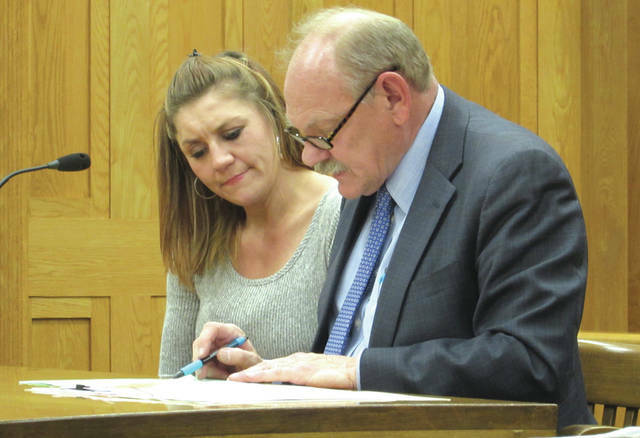 Plessinger said she had missed treatment appointments due to multiple illnesses and that all but one of her failed drug screens were “false positives” brought about by medications she was taking for those illnesses. Darke County Prosecutor R. Kelly Ormsby said he received a letter from Recovery and Wellness saying she’d been non-compliant, however. Plessinger saw the situation differently, however. Judge Hein challenged the defendant to push herself harder. This entry was tagged Aggravated possession of methamphetamine, Aggravated trafficking in methamphetamine, Attempted grand theft, Child endangerment, Common Pleas Court, Community service, Court, Darke County Common Pleas Court, Darke County Prosecutor’s Office, Darke County Recovery and Wellness, Felony, Grand theft, Greenville, Lewisburg, Meth, Methamphetamine, MonDay, MonDay program, Plea agreement, Probation, Recovery and Wellness, Theft, Trafficking. Bookmark the permalink.